Sumi tools and materials for calligraphy. 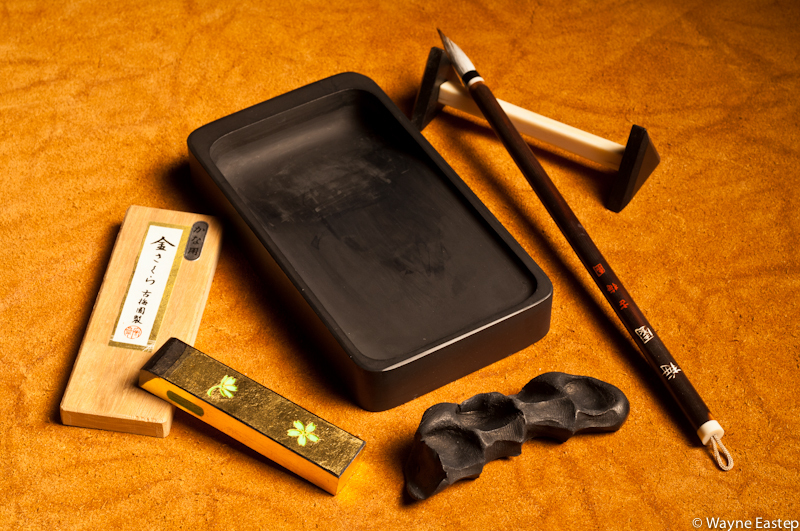 Sumi stick, slate inkwell, calligraphy brush, sumi stick with finger impression by workman at Kobaien sumi factory in Nara, Japan. While documenting Japanese culture for National Geographic Traveler, I had the opportunity to photograph at Kobaien in Nara, the oldest sumi shop in Japan. The city of Nara produces 90% of the sumi-ink in Japan. 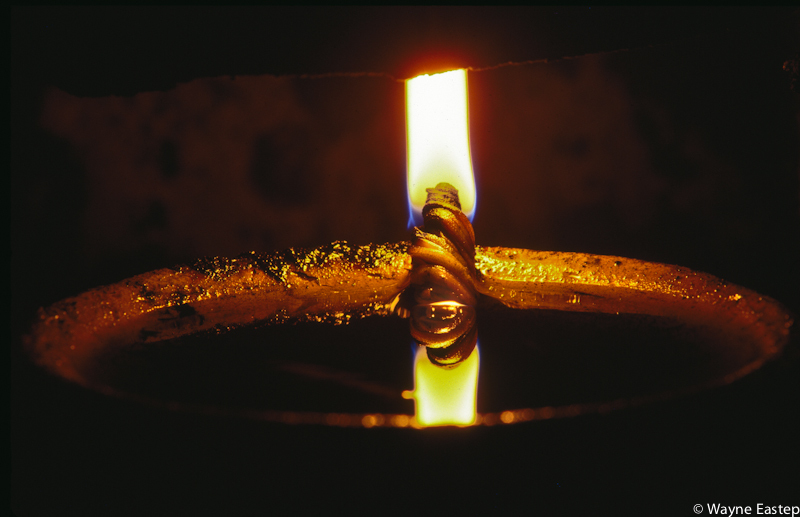 Kobaien sumi shop has produced sumi-ink sticks for calligraphy and ink painting for 400 years. Sumi is made by collecting soot from burning pure vegetable oil, usually sesame or pauwlonia, and combining this with glue derived from vegetable starch. This is then shaped into sticks and dried. 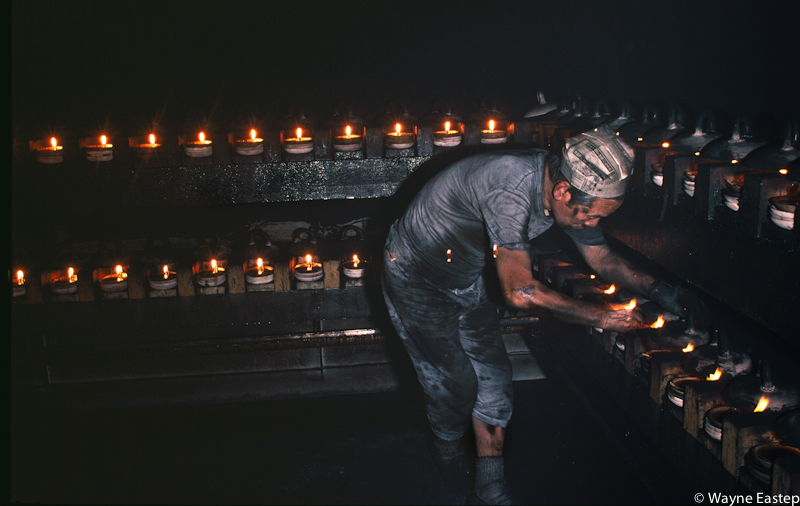 Ink is made by grinding the sumi stick in the slate inkwell called a suzuri until the desired consistency is achieved. I requested Mr. Mitsuyoshi Nakano, chief at the Kobaien sumi shop, to have the workman making sumi press his fingers into a freshly made stick for me, shown here. 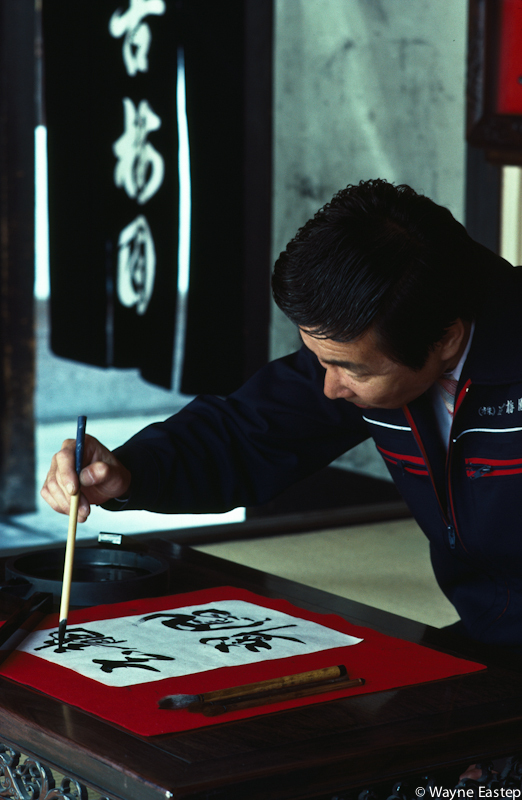 Mr. Nakano then created the names Nara and Kyoto in Japanese calligraphy on washi, mulberry paper as a gift. 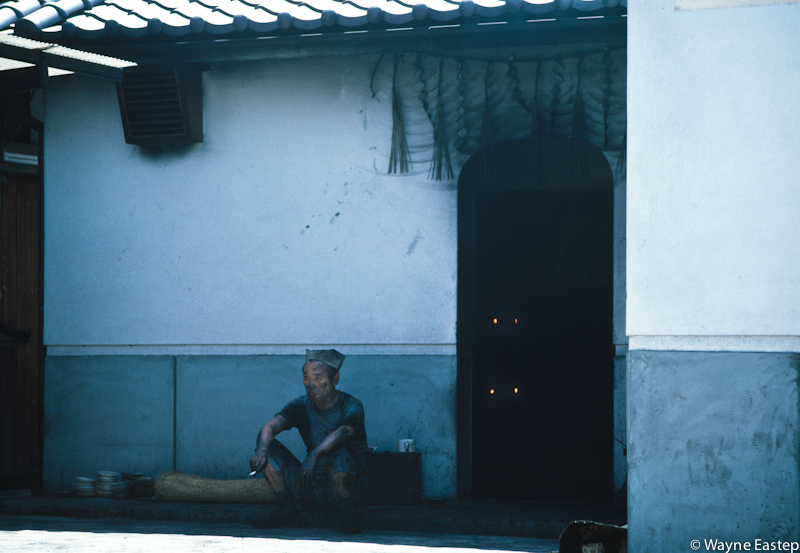 More images on Japanese culture in Kyoto & Nara.